New Focus Recordings releases Solaris, a CD of chamber music involving electric guitar. Recorded at Soft Landing Studios, Brooklyn, Steve Giesengraber, engineer. Made possible with support from: Electric Guitar Arts, West Chester University Faculty Development Fund, and the Hambidge Center. 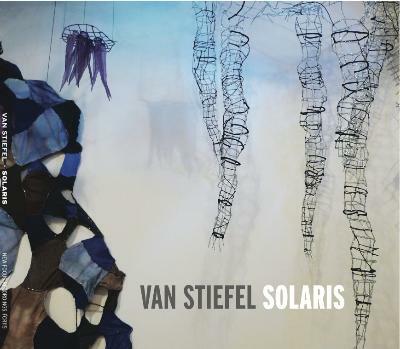 Solaris (21:41) Ed Schultz, alto flute and Van Stiefel, electric guitar with laptop. Souls and Raindrops (5:53) Text by Sydney Lanier (1842-1881). Holly Nadal, vocals; David Nadal and Van Stiefel, electric guitars.